Cassidy is a Communications Specialist at LAANE. Prior to starting in our Communications Department in 2018, Cassidy was a LAANE Organizing Intern for the Don’t Waste LA Campaign. 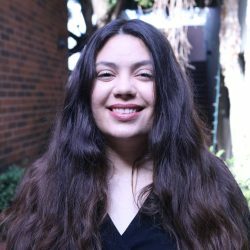 During her time in school, she interned for the California Nurses Association, and for the Los Angeles Community Action Network through Occidental’s Affordable Housing Internship. Cassidy grew up in a working-class family, and her experiences compelled her to get involved in social justice. She graduated from Occidental College in May of 2018 with a B.A. in Urban and Environmental Policy. In her spare time she enjoys reading fantasy novels and playing board games with her friends.